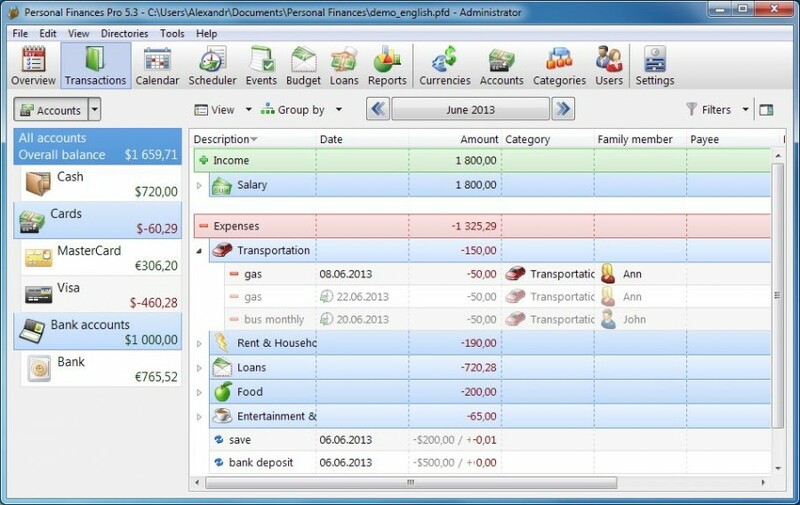 Personal Finances is a personal budget planner and finance manager for people on the go. 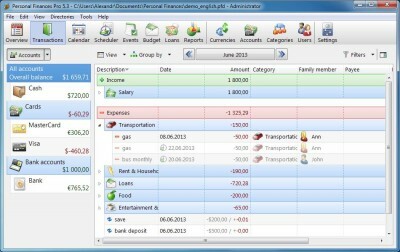 Once installed on the USB flash drive, it enables family to track expenses and plan budget from any Windows computer. Clear bar and pie chart reports will help you to see the flow of money in details and cut back on expenses you can live without. Organize the financial life of your family with Personal Finances and live without debt and stress!